Most of the time while we are starting a new business of trying to convert our traditional business nature into new innovation, we are usually unaware of where to start. We won’t have any idea about how to choose the best solutions as per our business requirements. Are you facing all of the above mentioned scenarios? Than ill must say don’t say you don’t need to worry now! I’m here sharing with you top 12 free, Cloud HR software systems. The most significant feature of being switched to new features of technologies always seems so risky. In order to try new technologies you have to be courageous enough to take risks for future betterment. Today I’m going to share with you the top 12 free Cloud HR software, which are free/freemium(i.e. free up to a certain point) and offering some features as per their commitments. I have come up with a brief intro of all systems & their pros and cons separately. Now ill going to discuss all of above mentioned top 12 free and HR software systems one by one. I hope you it’ll worth reading for you. Hope you enjoyed and get learned from the new information. This freemium product allows unlimited users. But system provide limits of data storage accounts at max of 500MB for free version. While purchasing, accounts are upgraded to 3-5GB data storage features. Apptivo do not offer full phone supported version for mobile apps’ users, especially for a free version. Being organized as a suite of Cloud Based ‘apps’ make it more flexible for end users, rather than introduced as a single software product. This flexibility makes it more moldable for users to update as per their needs or requirements. 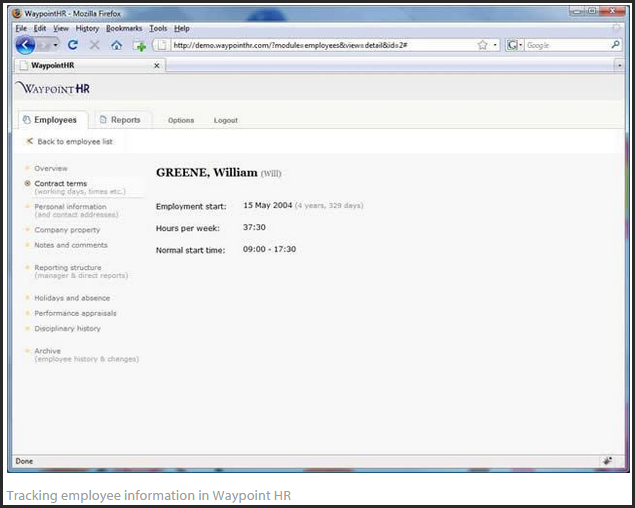 This system includes app for employee info, recruitment, vacation tracking and team communications. It allows us to build basic HR tool for most of your needs. 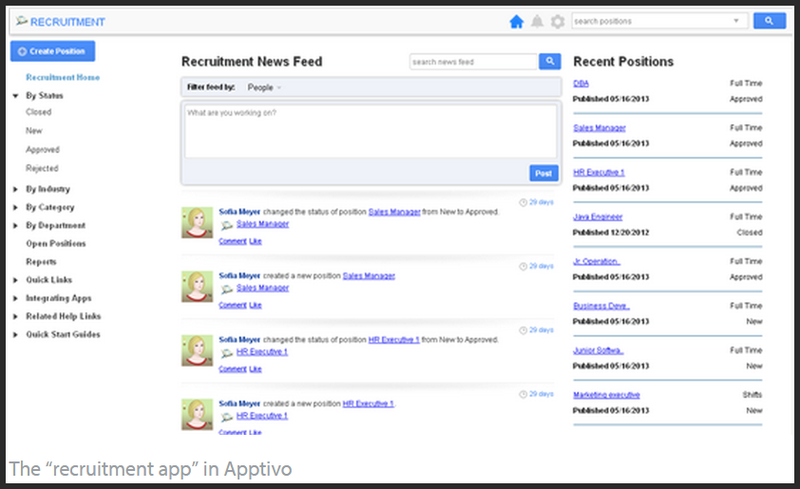 On the other side of picture apptivo is not developed precisely for HR managers, therefore it have missed important functionalities like training and performance appraisals etc. freeHR is a web based human resource system located in UK based company Isys. freeHR is cloud based HR software that is totally free. There are no limits on the number of users, how long and how much users can use it. Isys is making money from freeHR on through ads, and by offering optional premium services that include setup, configurations, training, support and custom reports. The cloud based nature of freeHR make it more adaptable for multiple smart devices like smart phones, iPod, iPad, and tablets etc. Its mobile app facilitates users to get alters and send instant responses from a phone or tablets that are strongly suitable with this product. Employee self-service record is also being by keeping track of the employee leave request, vacations’ counts, and availed number of leaves in each month. The System uses to keep updated record of employees’ documents, contract and other personal records. However freeHR system does not have modules regarding payroll system and recruitment, so you should keep in mind regarding these missing functionalities. 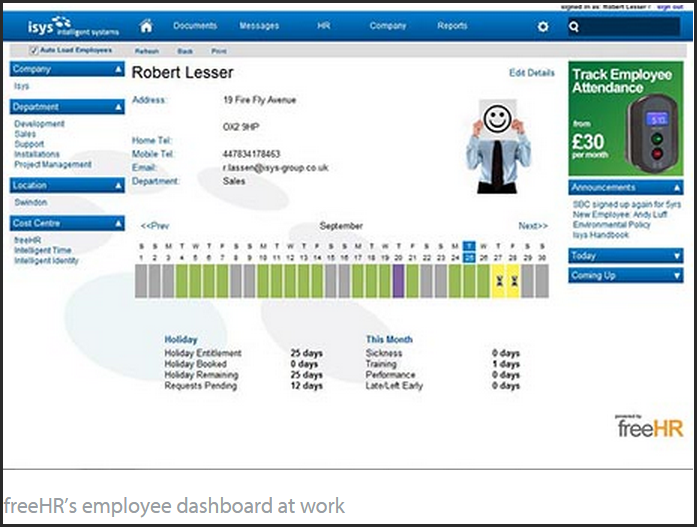 HRtrack is the free solution for the organizations with 10 or less than ten employees. You can download HRtrack software product by Canadian company First Reference. The system runs on your desktop, and for Outlook users’ it gives the appearance like home. The software is totally recommended for organization in Canada. Because of company’s strong focus on inclusion of province-specific compliance information. 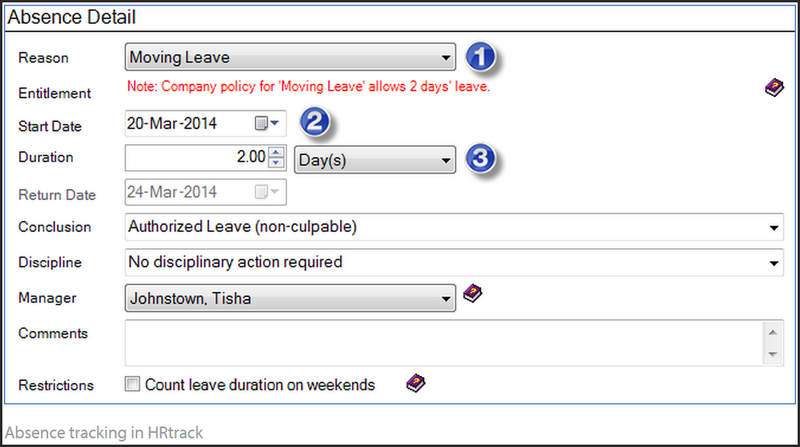 HRtrack software has ability to tracks enlisted employee’s’ vacation, performance, benefits and trainings. That is most efficient way to keep an eye on employees’ self-service record for life time. System have Calendar integration with Microsoft Outlook that is also a positive point. HRtrack is an older software. Therefore its installation features means if want to something you can simply access it on multiple nodes or via mobile. That is a limitation in itself. 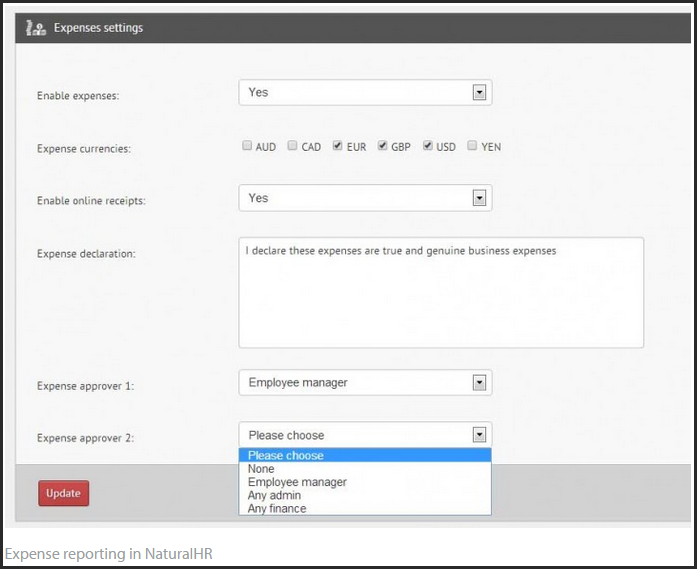 NaturalHR is a free of cost, product, SaaS system by a UK based company. Because this software is completely free and company do not have ads, trials or strings attached. The Company has declared the future plans to monetize. The company has affirmed that any user of software being registered before that time will have access to a system with succession. NaturalHR is very extensive features rich product. That includes immense features to handle time tracking, vacations, and employee self-services, the system also have library functions for training courses, integrated recruitment, and performance appraisal with 360 degree feedback. 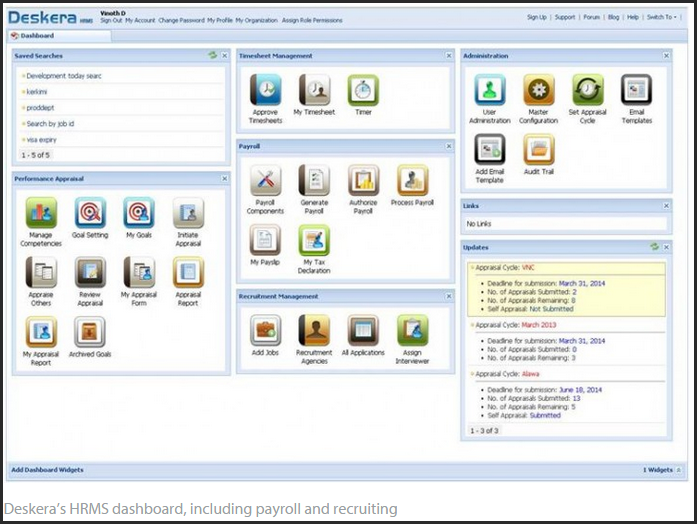 NaturalHR system does not have a payroll management system. The company haven’t unannounced monetization strategy, policies yet, that is also a potential risk. A web-based, “social” HR is recommended for SMEs. WebHR is a free software and ad supported for ten employee or less than ten employees. This company is located in Pakistan but now it have more than 9,000 customers all over the world. The WebHR has been around its current SaaS since 2010. 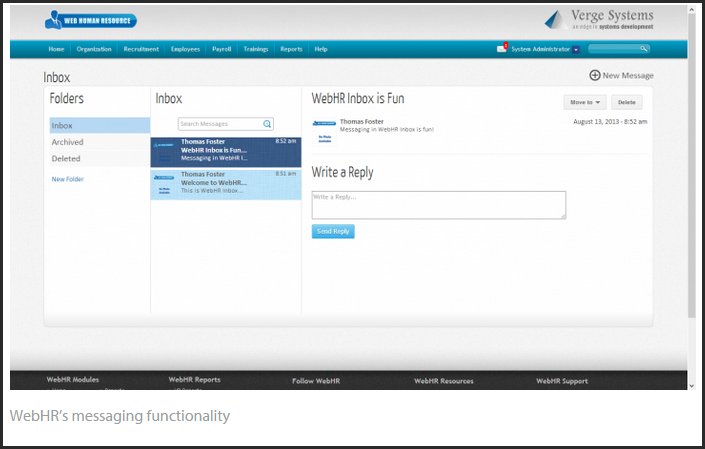 WebHR is an intuitive web-based solution. WebHR quite compatible with all mobile devices and it has good reviews on Google App Store as well. The System is enlisted with feature like employee attendance tracking, recruiting, and payroll functionalities that are plus points. Unluckily free version is restricted to some features and it doesn’t include discussion board, document uploads and custom reports. 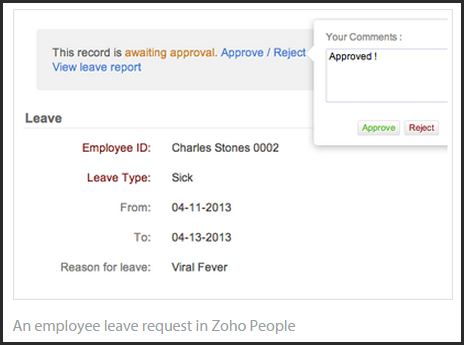 Zoho people’s HR tool is free for 5 employees’ login and 10 employees’’ profile. It is a web based software, a huge list of people is getting facilitated from Zoho’s other offers. Zoho is a well-known large established company. They offer immense HR services which shows its well established polished impression. 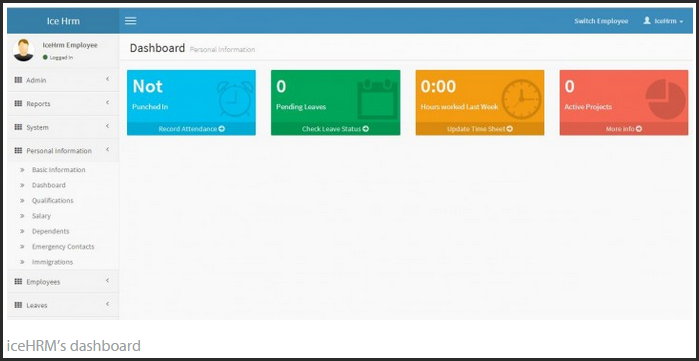 HR tool features include time tracking, leave management, employee information and employee self-services. It is examined that free version’s features are limited. The free version doesn’t include timesheet or attendance tracking features. Storage capacity is also limited up to 250GB in free version. 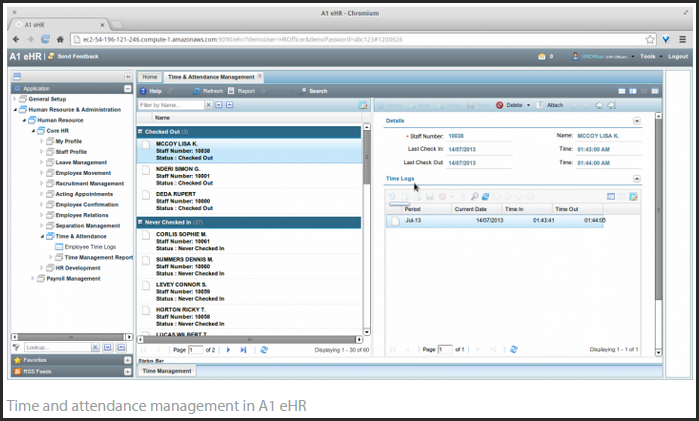 A1 eHR, is an Cloud HR software by Alliance Technologies. This software is suitable for both mid and large sized companies and organizations. Alliance Technologies do not charge for HR solutions, although it charges only extra support and maintenance. To download the source code you have to fill out the form on the Alliance’s website. A1 eHR, have all modules that are functionally wise necessary for larger organizations like management, recruitment, leave tracking, training and payroll. A1 eHR, system complexity might seem not that much friendly for casual users. Though, and the amount of information it stores is overwhelming. The system payroll module is also limited to US and Canadian’s resources. Deskera is suitable for enterprise-sized business organizations. Deskera offers both free version and a paid version. Hosted/SaaS version starts per user with $75 per month. Deskera is an equitable new application, that is not limited for HR functionalities rather it includes modules of ERP, CRM and many others. Deskera‘s modules are broader in their view because of targeted larger organizations in their mind. Deskera is developed in a way to cover all systems like payroll management, employee time sheet management, performance tracking, recruitment and real-time reporting management system. Efficient collaboration of system with mobile devices and other worthy features of Deskeras’ makes it more demanding in the market. In order to get broader view Deskera have sacrificed some deep functions of modules. Most of the users complained about Employee information module, which gathered less data as compared to other HR systems. iceHRM offers both a paid facilitated form, and the capacity to have your own particular example by downloading the source code for nothing. It's likewise remarkable among the other Cloud Based HR arrangements in that its paid, online adaptation is really still free for up to 20 representatives. This implies smaller organizations can get the advantage of free, Cloud Based programming without needing to introduce or perform upkeep on it themselves. 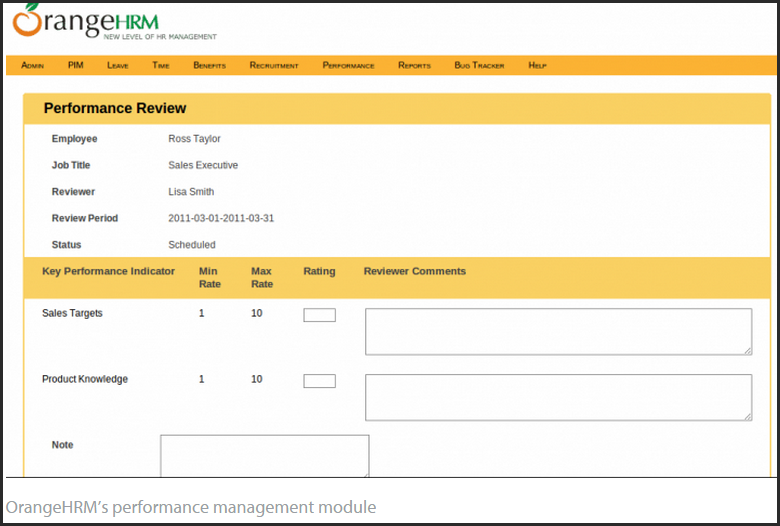 With one of the more cutting edge client interfaces among the Cloud Based contenders, iceHRM appears to be famously simple to-utilize. It covers leave administration, time and participation following, worker data, and record transfer, and additionally the capacity to download reports in .CSV design. Powerful issue bolsters additionally serves to make this an in number Cloud Based alternative. On the other hand, as it's pointed decisively at the slighter end of the business sector, it might not have the profundity of useful for bigger organizations. 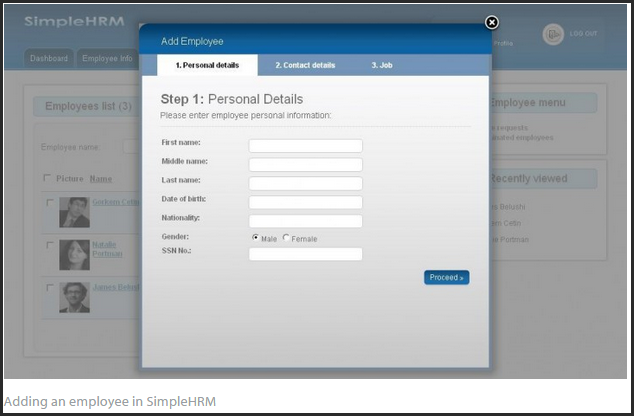 This Cloud Based HR programming has a paid, SaaS rendition, which accompanies included bolster and facilitating, and in addition its free source code form that you can have yourself (the download join on the OrangeHRM site obliges enrollment, however the source code can be downloaded on Source Forge without enlisting). A standout amongst the most mainstream free HR programming items, OrangeHRM is a particular framework furthermore has a commercial center where custom-made modules and plugins can be obtained. With modules for everything from leaving the administration and selecting, to execution administration and time and participation following, there's no denying that OrangeHRM is to a great degree far reaching. A simple to-utilize interface, and the simplicity with which it can be introduced over a previous LAMP stack make OrangeHR a solid match for any association willing to put the time and assets into facilitating an Cloud Based HR application. A few clients have grumbled of poor backing from Orange in the event that you choose to pay for that alternative, notwithstanding. This Cloud Based HR plan is pointed specifically at SMEs, and incorporates a free form and a paid, "proficient release" with extra modules and usefulness. Paid backing is additionally accessible on a one-time or progressing/yearly premise. With the capacity to handle a differing scope of HR needs including leave administration, travel and cost administration, advantages, assignment reporting, and the omnipresent representative data, SimpleHRM give a decent strong HR establishment for most little and medium organizations. A smooth UI adds to the request of this Cloud Based program. That said, a few clients have grumbled of trouble introducing the source code, especially with document ways, so guarantee you have somebody actually capable to handle usage. Another Cloud Based tool where you can decide to go only it for nothing, or pay for a cloud-facilitated rendition, Waypoint HR has been downloaded countless times. Overseen by a UK-based organization, this HRM programming covers every one of the essentials. While somewhat less smooth looking than something like OrangeHRM or SimpleHRM, Waypoint in any case has a hearty bolster group and accommodating knowledge base for software engineers and clients. Its rearranged setup and orderly guidelines help to bring down the expectation to absorb information that most Cloud Based programming experiences. While seeming, by all accounts, to be a straightforward, free answer for Cloud HR software supervisors and workers with finance, representative data, and cautions, Hr.my doesn't make the above rundown on the grounds that it appears to be so new it doesn't yet have screenshots or surveys, and data online on this offering is difficult to find. Worth watching in the future, yet it doesn't yet give off an impression of being a full grown arrangement. SolutionDots Human Resources (HR) and Payroll offers fully integrated functionality enabling HR and payroll departments to access, process, operate & manage all aspects of the organization’s hire-to-retire cycle and payroll functions. Inquiry, reporting and analysis tools help managers to gain a clearer insight into an organization’s resources. Human Resource Management (HR) offers spontaneous, self-service skills to help you efficiently organize, staff, and pay your global workforce. SolutionDots provide software in both demos & paid versions. Each version provide you rights to access all functions except that of Administration section that are restricted in demo version. The SolutionDots HR& Payroll system is fully integrated with deep functionality of both systems. Each system can work independently as well. SolutionDots give you opportunity to append new features or customized the existing one as per their clients’ requirements. Hope'll liked it. For more informative post . . .Stay Connected!